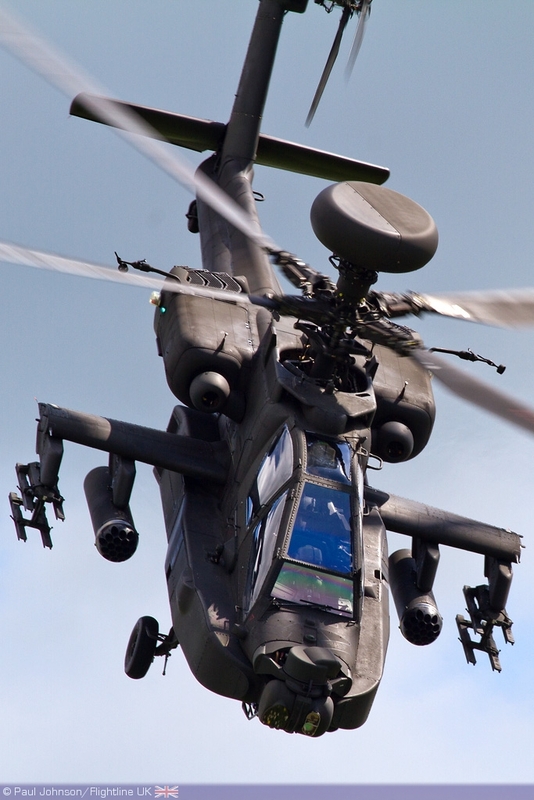 The RAF Cosford 75th Anniversary Air Show team is excited to announce that a Chinook and an Apache helicopter from the MOD Joint Helicopter Command (JHC) will be coming to the event on Sunday 9th June. The Chinook helicopter, operated by the Royal Air Force primarily to support troop movements, will be joined by an Apache attack helicopter from the Army Air Corps. Although operated by different services, the two aircraft are far from strangers as they operate alongside each other regularly whilst on overseas deployments. The heavily-armed Apache helicopters usually work in pairs to act as escorts for the Chinook and the personnel onboard, offering an extra layer of protection whilst being transported. The focus of the displays will be to demonstrate the outstanding work carried out by the Medical Emergency Response Teams (MERT) who are frequently called into the firing line on military operations in order to save the lives of injured personnel. In addition to the MERT demo, both the Chinook and Apache helicopters will show off their stunning individual flying displays that promise to thrill the crowd with dazzling performances of agility and grace. A MERT, which usually comprises of a Military Doctor, an RAF Emergency Nurse and two RAF State-Registered Paramedics, is tasked to deliver expert pre-hospital emergency care at the point of injury before rapidly recovering the casualties to the deployed hospital. RAF Regiment gunners are also enlisted on MERT missions to provide armed protection when the Chinook helicopter lands, allowing the MERT crew to collect the injured individual as quickly and safely as possible. The demonstration being provided at this year’s Air Show aims to be as realistic as possible to provide an insight into the day-to-day activities on overseas deployments. As such, RAF Regiment gunners that work at RAF Cosford are being utilised on the Chinook helicopter as well as a MERT that is supported by the specialist aeromedical evacuation unit, 4626 RAuxAF Squadron, at RAF Brize Norton, all while the Apache is flying overhead providing protection from above, just like it would in operational theatres such as Afghanistan. To further help members of the public experience life on operations in Afghanistan, significant effort has been put in to provide a mock up “Afghan village” as part of the extensive ground displays provided at this year’s event. Master Aircrew Chas McHugh, one of the individuals in charge of organising the Afghan village as well as the MERT demo, says “In 2013 the RAF Cosford Air Show brings you an insight into present day operations in Afghanistan. This multi-service display is exclusive to RAF Cosford and demonstrates the co-operation between UK Forces that is essential to success on the modern battlefield. We hope our visitors find the displays both insightful and eye-opening”.